Mike Perry’s brutal and impressive UFC knockout on his debut has been marred by accusations of racism. 24-year-old Perry was signed after cleaning up with seven straight knockout wins in the regionals, reports Uproxx. But in spite of his early success, it’s safe to say Perry hasn’t been winning himself many fans. 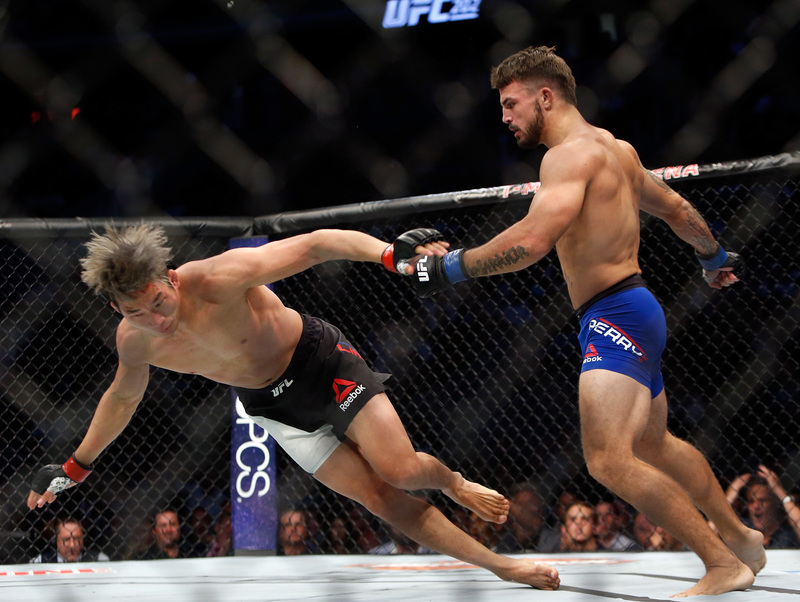 When it came to the Octagon, it looked Perry may have won back some fans when he upset the odds by landing a massive punch to knock Lim unconscious in the first round. However, the knockout isn’t the main story coming out of the fight. His performance has been overshadowed after one of his cornermen made a racist slur about the Korean fighter. That’s your post-winner dinner. He’s got nothing for you, Mike. He can’t even open his motherfucking eyes, boy. Not cool, I think we can all agree. It’s unclear exactly who made the offensive remark, but suffice to say there is no place for racism and the corner should certainly face some disciplinary action.